Is The Foldable Pure Fitness & Sports Magnetic Rower As Convenient As Hoped? Compact home-gym models come in all different shapes and sizes and the PureFitness & Sports Foldable Magnetic Rower with Hand Pulse is one that really focuses on the idea of convenient design. The frame is quite simple, with the focus seemingly being on the foldable aspect; however, there are plenty of parts and features being highlighted by the creators in the specification to sell it to keen consumers. Do these features make this product a great purchase? Could The PureFitness & Sports Rower Be A Worthwhile Addition To Your Home Gym? 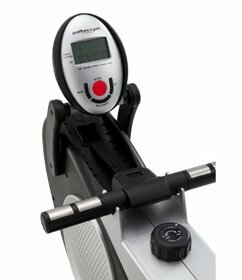 There are many different type of rowing machines out there, from basic, no-thrills, at-home models to high-tech, computerised devices that monitor every inch of your progress – the PureFitness & Sports Foldable Magnetic Rower fits somewhere in the middle. 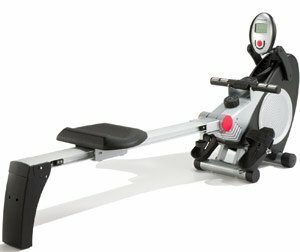 This rowing machine, with its 120kg maximum capacity, is designed to provide users with a simple, accessible device and helpful extra features and comes with 8 levels of magnetic resistance, monitors for your pulse and calorie burning and a handy computer screen to display all your results. The spec and design make the device seem pretty straightforward but what do the buyers have to say?